Katri is working as a Financial Coordinator in Spinverse. In addition to taking care of daily financial administration of Spinverse Group, she takes part in managing Spinverse’s own projects from the financial point of view. She also helps customers to manage their EU- or Tekes project financials and report them successfully. 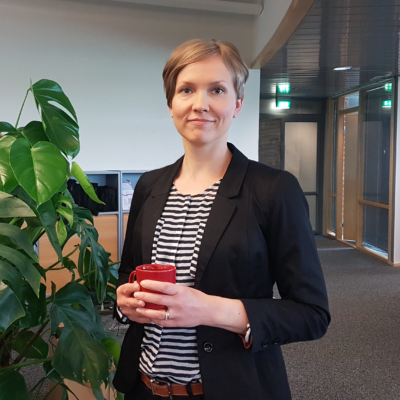 Katri has experience in various kinds of publicly funded projects, including preparing new development projects and funding applications to companies. She has also been involved in Innovation Mill program co-ordination from the very beginning in 2009. Previously she has held positions in business incubator and in telecommunication with invoicing and B-to-B sales. She holds a BBA degree from Jyväskylä University of Applied Sciences. Her free time is spent with family. She also enjoys gardening.